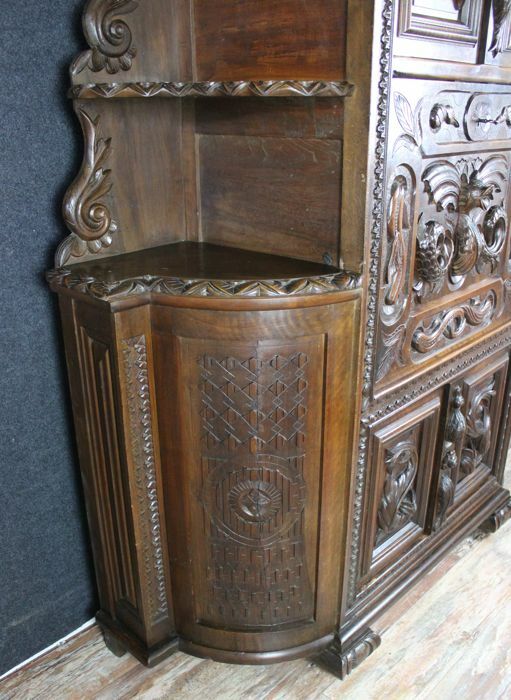 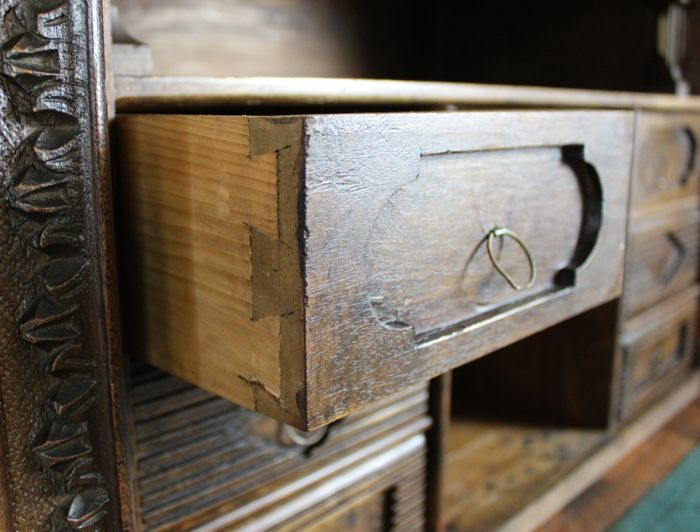 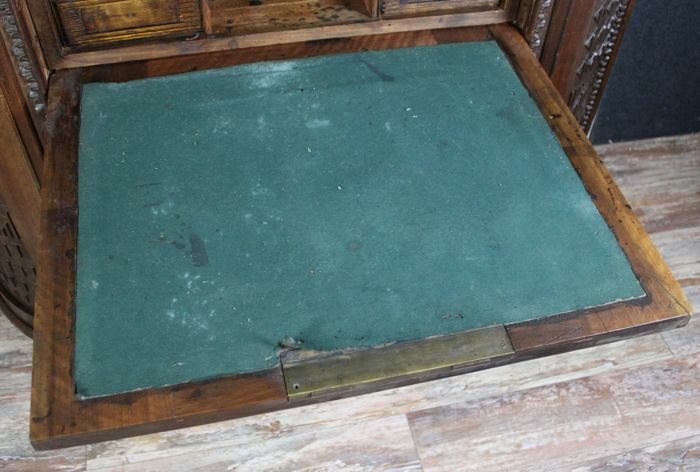 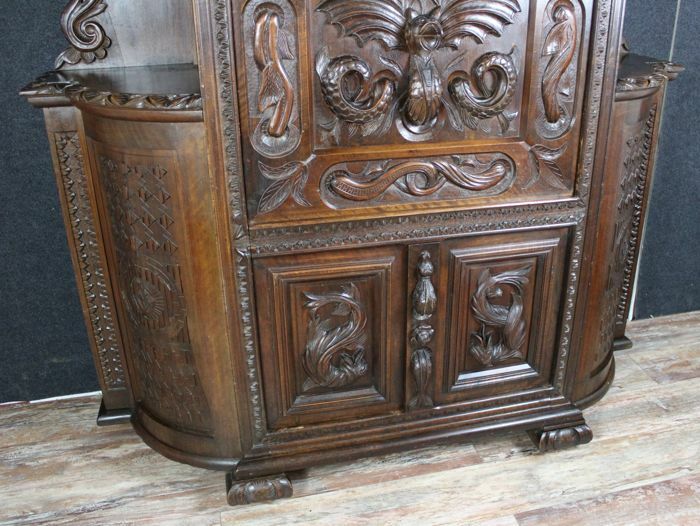 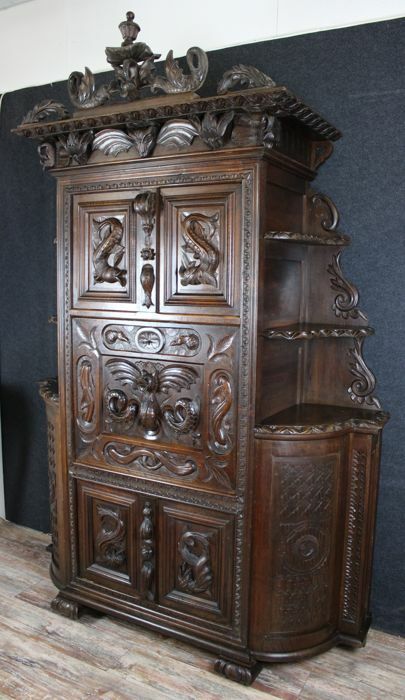 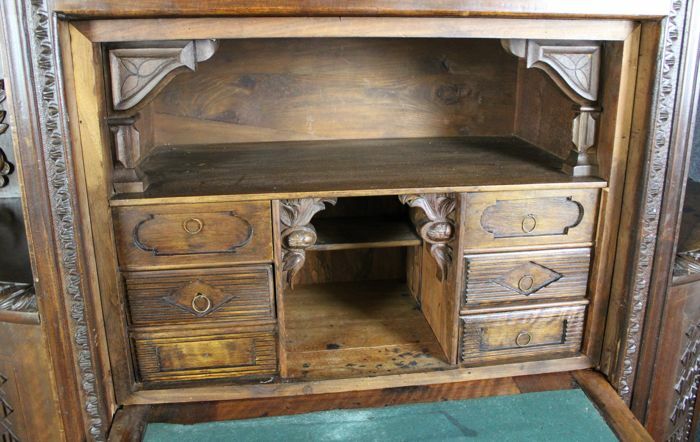 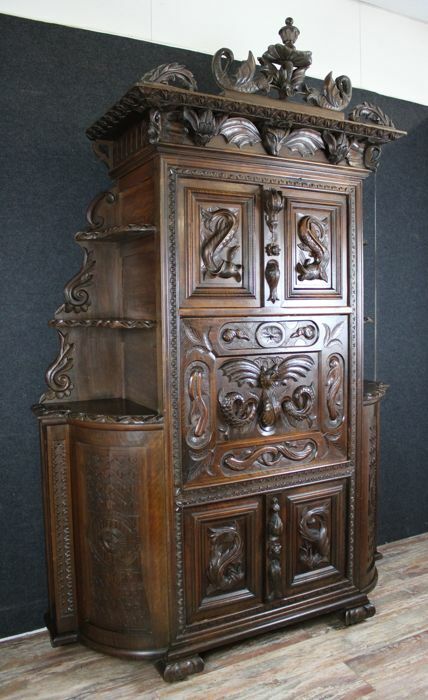 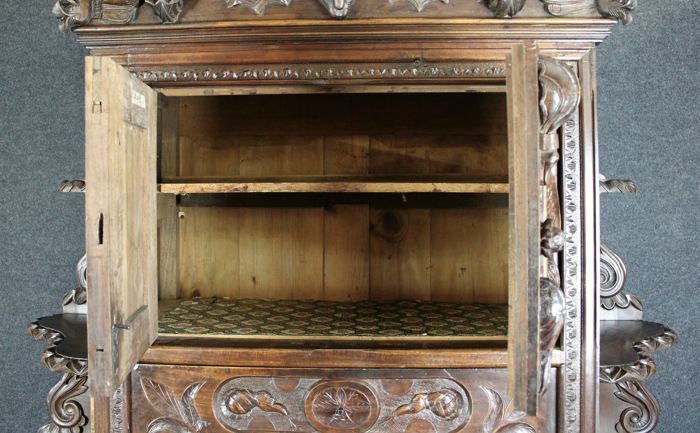 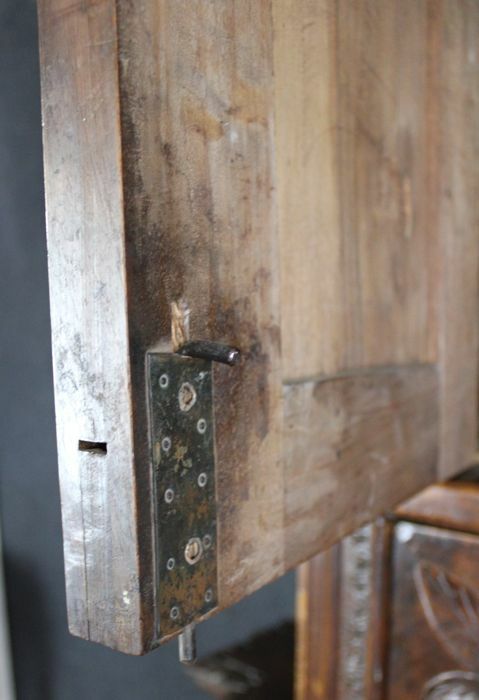 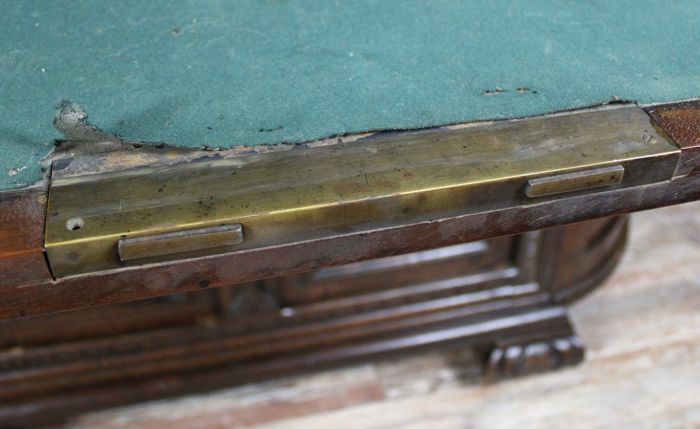 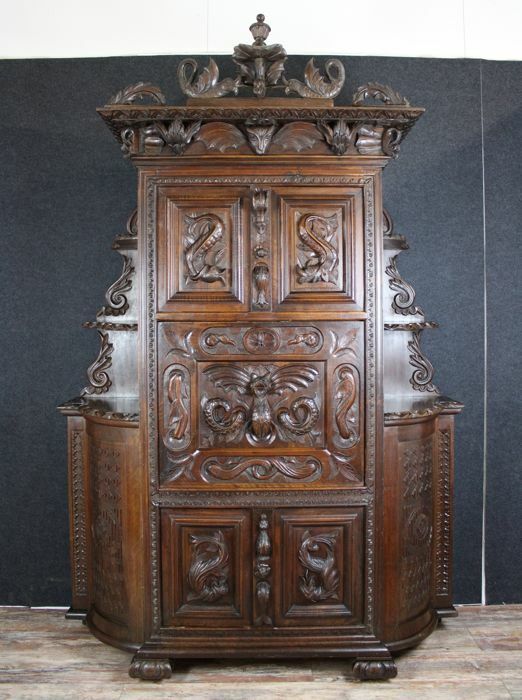 From a castle in Burgundy (renowned wine-growing estate): Renaissance secretaire in natural wood. 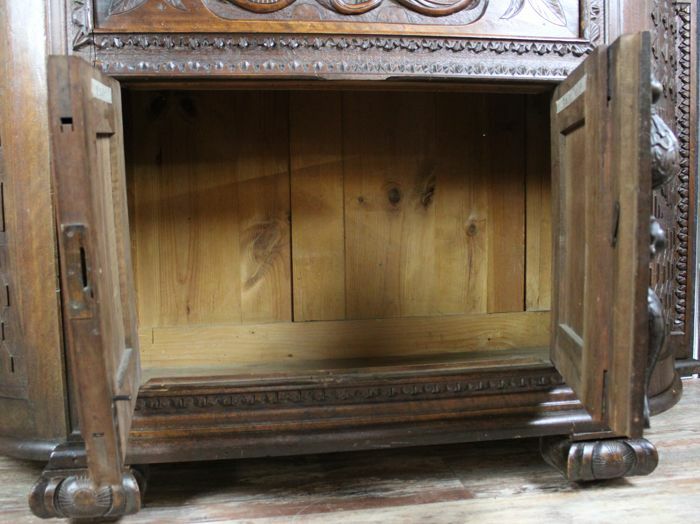 Half moon shape with upper shelf. 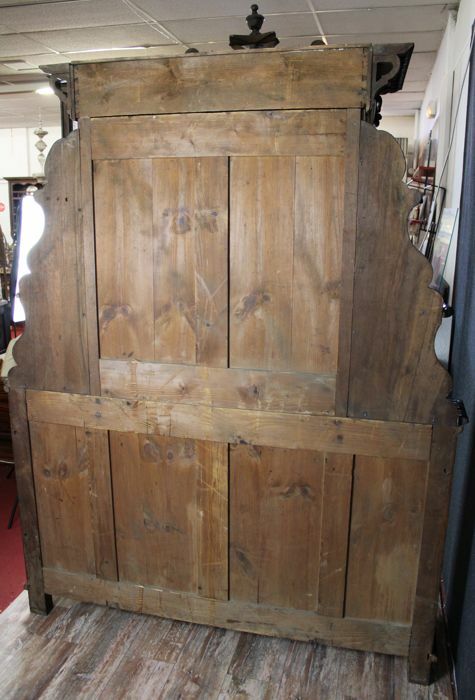 Opening in front by 6 doors and a flap discovering a splendid internal theatre. 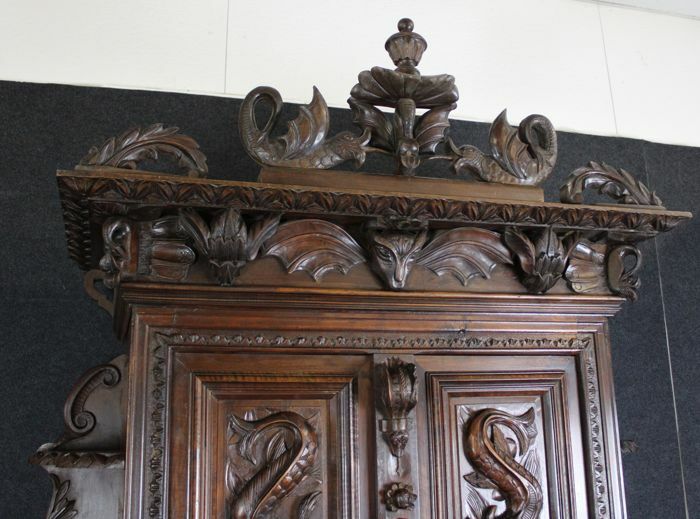 Over-ledge with openwork sculpture decoration.